November 2017. The UK Government announced that it has set a target to cut carbon emissions by 50%, by 2025. Back in 2009, the government at that time had set up other task forces, such as the Innovation and Growth Team to report on Low Carbon Construction, and in the health sector, which is our specialism, the Sustainable Development Unit: Saving Carbon, Improving Health. These too reported the need to reduce emissions by 50%. The UK Government expressed this as the Carbon Reduction Commitment. So what has changed in nearly 10 years? Simple answer: Very little. The Royal Academy of Engineers Report: ‘Engineering a low carbon built Environment’, published in August 2010, observed that the construction industry was generally still delivering buildings that are little better in real performance terms than they were in the 1990s. The same is true in 2018. The reason is fairly obvious: Today the basis of design used by designers and engineers in the planning, design and engineering of buildings has changed little since the 1990’s. Design decisions are largely based on formulaic, out-dated practices. Some codes have practice haven’t changed in decades. Assumptions used in the basis of design, have been shown through research to have little correlation with the ‘real world’. This means that targets for low energy performance are rarely achieved. The European Commission refers to this as the ‘Performance Gap’. It is endemic across Europe, and it is endemic in the planning and design of acute care hospitals. 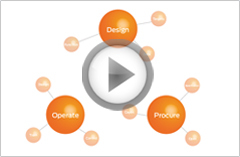 So what can be done about it in the healthcare sector? Fundamentally we need to bring evidence based building science back into building engineering design. Secondly, we need to engage with the clinical users (bridge the divide) to help them understand the impact of their working practices on resource consumption in all of its forms, and so seek to optimise both health outcomes and sustainable facility performance . 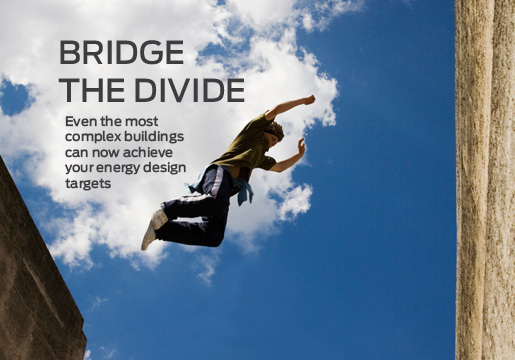 To bridge the divide The Conclude Consultancy has developed a proven management process to achieve operationally efficient, low energy, low carbon facilities.